According to W. Edwards Deming, American companies require nothing less than a transformation of management style and of governmental relations with industry. 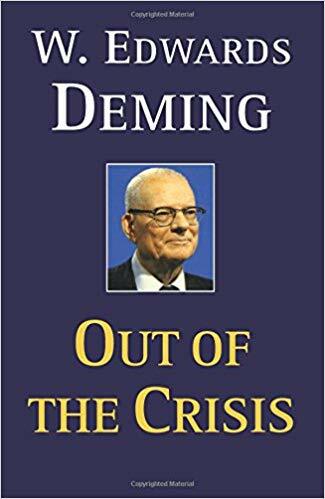 Deming offers a theory of management based on his famous 14 Points for Management. Management’s failure to plan for the future, he claims, brings about loss of market, which brings about loss of jobs. Management must be judged not only by the quarterly dividend, but also by innovative plans to stay in business, protect investment, ensure future dividends, and provide more jobs through improved product and service.